SIA „Fix Force” offers high-quality products, designed for both professionals and everyday consumers (DIY). 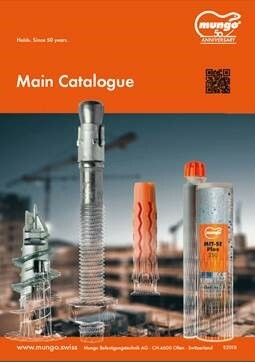 Our product range includes - screws, bolts, washers, nuts, threaded rods, rivets, nails, roofing screws, stainless steel screws, hot dip galvanized fasteners, bolts and screws, plasterboard screws, dowels and anchors, chemical anchors, metal forgings, angle, hole plates and ribbons. Ropes, chains, shackles and carbines. Professional chemistry from „Forch” workshops and factories - lubricants, sealants. Abrasives, sandpaper, drills and thread cutters. In addition we offer car cleaning products - pre-washer, shampoo, cleaners for both car body and the interior.